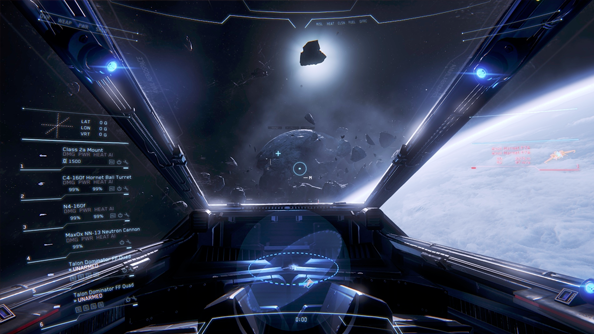 Earlier this month Star Citizen’s director, Chris Roberts, outlined a ship rental system which has not gone down well with the community. 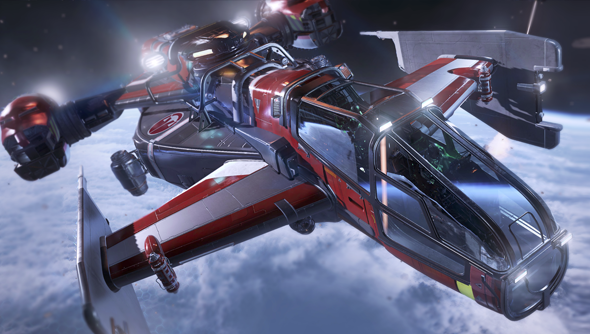 Players are saying it turns Star Citizen into a freemium game and that the system favours people who have bought better ships with real cash. Chris Roberts has responded to the criticisms but it’s not eased the situation. In the persistent universe that the developers are working on, that’s fine: like Elite, you’ll earn money for collecting bounties, trading goods, and spend those credits on ships. However, in the Arena Commander module that players have access to at the moment there’s no persistent currency to spend on ships. Instead, the only way to buy Star Citizen’s more impressive vessels is to pony up real cash. With some ships costing more than $100, that’s really not an option for a lot of players. The Hornet F7-C will set you back$165.00. REC’s are meant to be the solution. Players would earn these credits from playing PvP matches in Arena Commander. They can then use the credits to rent the usually paid-for equipment for a week at a reduced rate, 10% of its UEC cost (Star Citizen’s real money currency). The community’s not been entirely swayed by Roberts’ proposition. The Mittani’s found a lot of examples in the Star Citizen community of people opposing Roberts plan. One criticism on Reddit is that REC can only be earned in PvP matches and the amount of REC players receive is judged by how well they do in the combat. The problem is there’s no proper matchmaking in Arena Commander, so a player with basic equipment can easily be paired up with someone who’s spent hundreds of dollars on powerful ships and weapons, meaning the players who spend money are likely to earn more REC, which means they can get better ships, which repeats the problem. If players could earn REC in PvE games then this wouldn’t be a problem. However, Roberts replies in a forum post,“REC allows us to give an incentive for certain parts of the game to get tested. Right now testing different player ships against other player ships is more important for the ongoing balance of the game, which is why REC is focused on the PvP side of AC.” He does also say that in the future they may want to test PvE elements of the game and so will set up a REC system to reward that, too. Roberts also responded to the matchmaking criticism, saying “We recognize that people don’t want to be put into the current completely open bear pit that is ranked AC games, so we’re also working on the ability to have brackets to match players of similar ships and / or skill in games and also allow people to opt out of the public leader boards.” This won’t come till after the first version of REC is up and running.